Whether you are a fan of Game of Thrones or not, Paddywagon’s tour of Northern Ireland is worth every cent of the 60 euro ticket. This ticket includes tour guides that have vast knowledge of the rich history, astonishing coastline views, green meadows as far as the eye can see, natural wonders, and entertaining Irish folk tales. The tour begins with your first stop at the notorious Dark hedges. 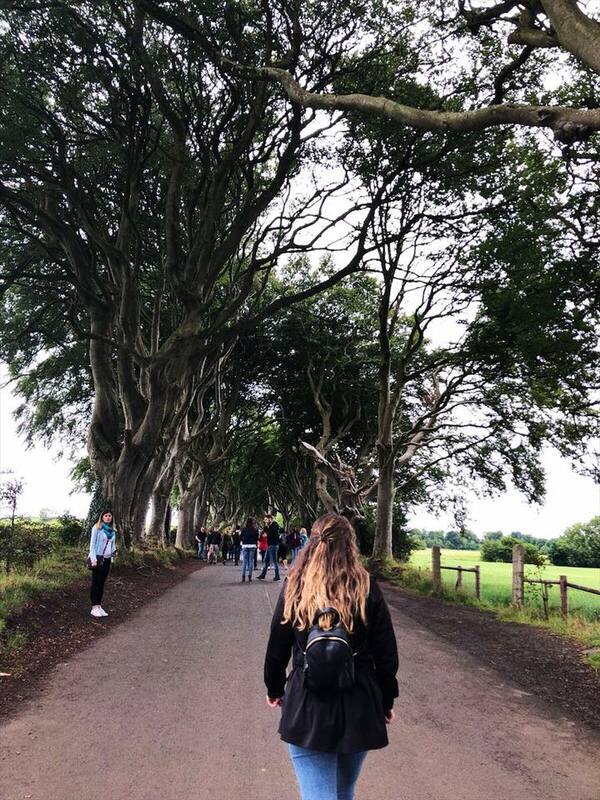 You may recognize the Dark Hedges featured in the show Game of Thrones. This picturesque walk under the trees and their intricate branches is perfect for a photo op, or just simple admiration of the well-kept path surrounded by green. The following stop is the Carrick A Rede Rope Bridge. The fee to walk across this bridge is not included in the tour, but it is highly recommended to participate in if it is feasible. 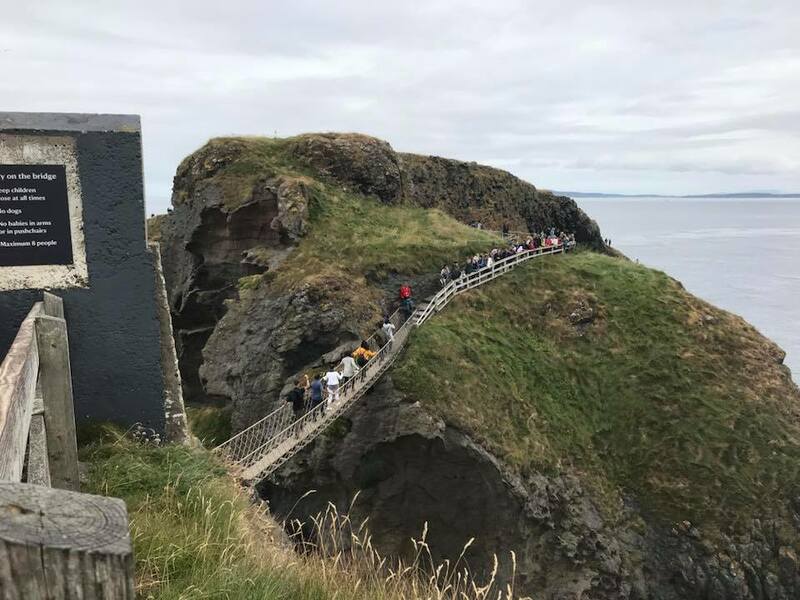 For only ten euros you can walk across the rope bridge and on the other side in the horizon on a clear day, Scotland is visible. A lunch stop in the charming Ballintoy village takes place before the main stop at Giants Causeway. 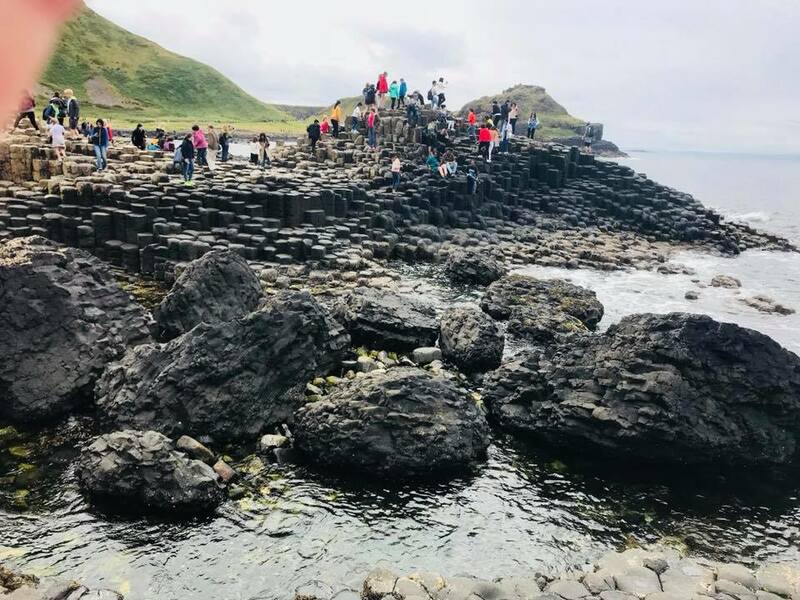 Giants Causeway is sure to blow you away with the thousands of natural stone columns along the water. It rests below a huge green cliff where you may spot a few hikers at the top. The tale tells that the Giants Causeway was built by a giant thousands of years ago, allowing him to reach over to Scotland. Up to you to decide what to believe. The visitor centre is a great stop before exiting to grab a souvenir and an Americano before returning to the bus. 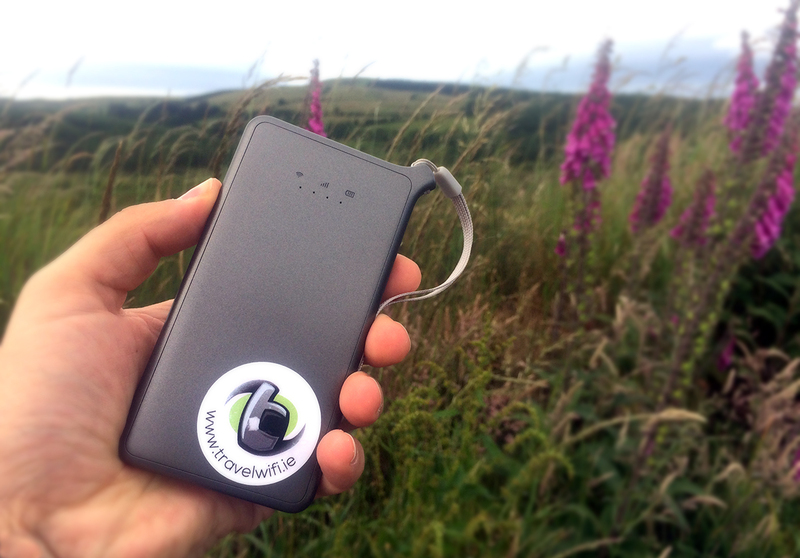 Another photo opportunity comes shortly after the Giants Causeway at Dunluce Castle. The ruins of this castle are on the edge of a cliff overlooking the sea. It is said the roof of this castle fell into the sea in the 1600s. The final stop of the tour before returning to Dublin is in the city of Belfast. Although it is a brief stop, it gives you enough time to stretch your legs out around the city, and grab a quick bite to eat before hopping back on the bus. All in all, I would highly recommend seeing Northern Ireland through Paddywagon tours.